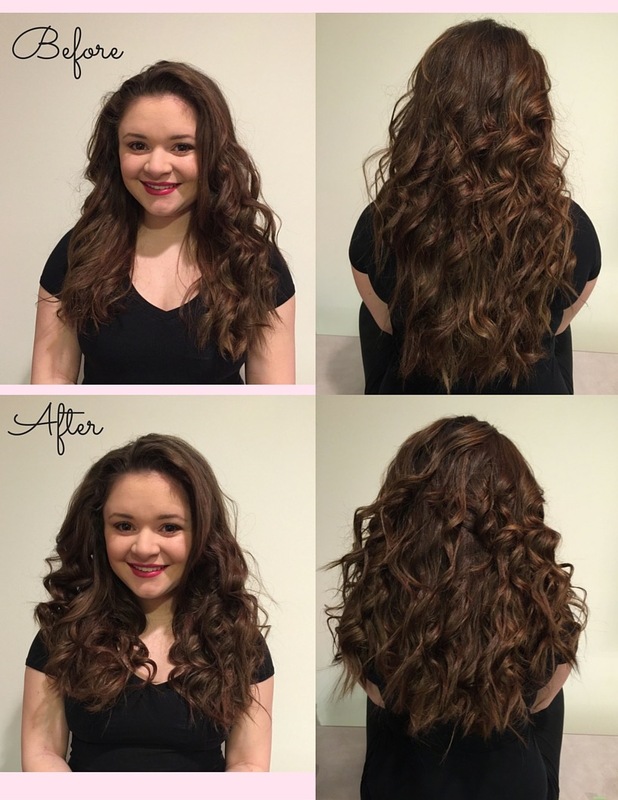 What they say: Hair extensions enhance your looks with longer and fuller hair. A great way to change your look. Hair extensions are a great solution for hair-thinning problems. By adding REAL hair to your own, you can have the fullness that you've been searching for. Clip in extensions are very simple and easy to wear. You can put them on or take them off yourself without costly salon appointments. Also, unlike other extensions, they do not damage the hair a single bit, which is our main concern. I’ve always wanted to try out clip in extensions and let me tell you, whether your a first time extension trier or are looking into new extensions you must go with Irresistible Me. I don't have another brand or anything to compare them to but what I can say is that they are amazing quality and you get so much for the price. I have naturally extremely thick hair so when I was trying them on they added an unreal amount thickness but very minimal length just due to the fact I didn't want to go super long. If you want to add volume and thickness to your hair or even length, you must check these out. If you are buying through them I highly recommend you watch the color video they have on their Youtube page, I was able to match my extensions PERFECTLY to my hair color, my mom couldn’t even tell which was my hair and which was the extension. The clips are absolutely amazing as well, I first tried them on freshly washed and straightened hair and they stayed perfect and didn’t even budge AT ALL. I also watched Melissa Autry's video before hand to see how it was done, and it really helped! I was able to have an understanding of where they should go and what you should do with them, which really helped me as such a newbie. 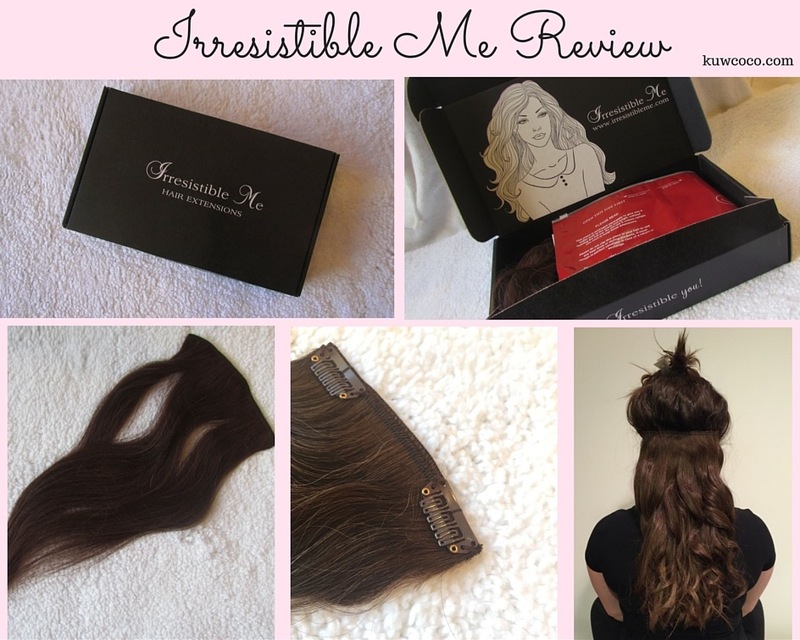 These extensions are overall AMAZING and if you’re in the market for new or wanting to try extensions for the first time, Irresistible Me is 100% the way to go. They are just perfect in every way and I am so pleased that if I ever want a new pair or change my hair color ill be ordering these again for sure. Check out everything they have to offer here! I'LL ALSO BE POSTING SOME MORE PICTURES ON MY INSTAGRAM IN THE NEXT FEW DAYS! BE SURE TO FOLLOW ME SO YOU CAN SEE SOME MORE IRRESISTIBLE ME PICTURES! And I want everyone to guess how many Irresistible Me extensions I have in! !